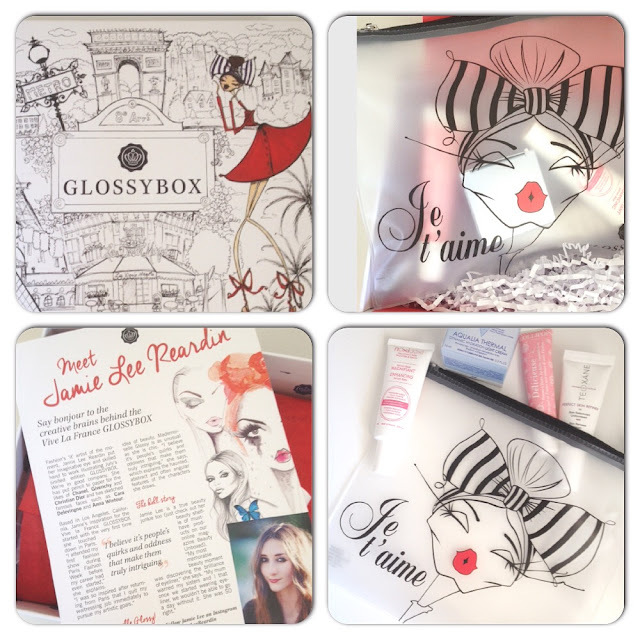 July's GlossyBox has gone all French with its specially inspired French edition. This is a real discovery box and features and focuses on French skincare brands whilst promising to give you a healthy looking complexion. The box is an artistic delight, created and designed by Fashion artist Jamie Lee Reardin. It is just gorgeous and I will be putting it to good use, if only I could draw like that! Inside the box is a see-through travel pouch £3.99 (the correct size for hand luggage). It has a really cute illustration on the front and personally I love see-through cosmetic bags as I do like to be able to see the contents! I will be taking this on hols with me. This smells so good, like marshmallows. It leaves lips feeling super soft and glossy. It contains antioxidants, vitamin E and protects lips from UV damage. Paraben free. Claims to provide complete hydration, tighten pores and to protect the skin with antioxidants. This is a really generous sample size. To be worn under your moisturiser I am looking forward to trying this. This is a night 'Skin Renewal' cream containing hyaluronic acid to plump and hydrate skin. 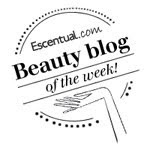 10% Glycolic acid helps to resurface the skin and calming ingredients to reduce irritation. Should be used every other night as it is potent (I am warned of a slight tingling sensation...eek!) SPF during the day is a must!